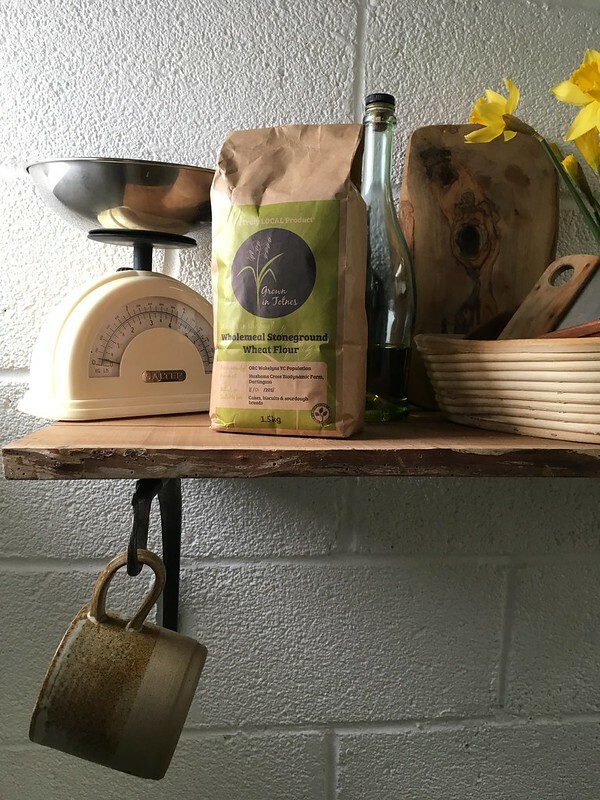 An exciting food project called Grown in Totnes has started trading in this South Devon market town, selling processed grains, peas and flours to local shops, bakers and colleges. It all started with the publication of the Crop Gaps Report, which identified gaps in the area’s local food provision of vegetable protein, grains and oils. Members of the Transition Town Totnes Food Group went on a mission to supply grains and legumes – beans and peas – all grown, processed and sold within 30 miles of Totnes. They carried out a survey of potential customers using a questionnaire, studied the data in the report, and listed the skills and resources they would need and could access in the town. Then it was time to gather resources. Fundraising efforts brought in money from a range of sources. The idea was pitched at Reconomy’s Local Entrepreneurs’ Forum, a Totnesian version of Dragons’ Den where local people can pledge time, money and skills, followed by match-funded grants, a crowdfunder that involved porridge jousting competitions, and a generous grant from the Esmee Fairbairn Foundation, until enough was raised to rent an industrial unit and buy machinery. Grain is an internationally traded commodity usually grown at scale for a very competitve market. Devon farmers tend to grow it for feeding their own livestock over winter. Wheat grown in this area has a lower gluten content and isn’t favoured by industrial bakers. Nevertheless, a couple of local farmers grew oats, spelt, and peas for Grown in Totnes in the knowledge they’d get a fair price for their crop, which would normally go for animal feed at a lower price. A neolithic grain called Einkorn, and Maslin (a wheat and rye mix) were also grown. The local brewery used some of the oats to make a stout and put the Einkorn into a wheat beer. A couple of years on and two varieties of wheat have been added to the range. Rooted in the ethics and practice of permaculture, but with minimal experience of grains or business, the fearless foodies embarked on the steepest of learning curves. Small-scale organic means one is at the back of the queue for the contractors who harvest, clean and dry the grain, and the weather waits for no-one. In the absence of a team of scythers and stookers, one entire oat crop was lost and another remained too moist to be processed because it was stored too close to the damp coastal breezes. One of those famous unknown unknowns! So the first two years were an exercize in ‘learning by mistakes’. Conversations with farmers appeared to make sense until it became clear that a word or phrase could have a multitude of meanings. So terms had to be defined, however run of the mill they might seem. A romantic notion of setting up shop in Totnes’s own historic mill was soon quashed by the local political and economic reality, and the search continued for the right mix of space, noise tolerance and price. The launch of the range of spelt products has been delayed by a technical hitch with the dehulling machine that is meant to seperate the husk from the grain. But despite such hurdles the project is starting to deliver its objectives. These fall broadly under permaculture’s main ethics. Earth care is represented by the organic growing techniques, the compostable bags, glue, ink and tape the grain is sold in, and the reduction in food miles achieved by keeping within the Totnes area. Grown in Totnes are also keen to use heritage grains and ‘grain populations’, which are mixtures of many varieties of a particular grain, all with their own characteristics that increase both genetic diversity and the crop’s resilience to different growing conditions. 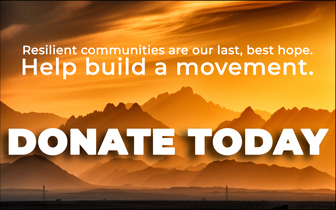 Perhaps more radically, they are promoting the notion of Eat the Landscape. Devon is known for its patchwork of small fields, ancient hedgerows, non-intensive farming and rich pasture. But its farms are vulnerable to an economic system that favours large-scale production. If the landscape is to be maintained, local people need to do their bit, and that means eating it. It means buying the crops that it produces, supporting the growers, and understanding the links between what’s in their larder and the landscape they treasure. Grown in Totnes is trying to make these links clear. By using only organically produced grains, the ecological benefits to the earth are translated into nutritional benefits to the consumer. People care is high on the list, with an emphasis on nutritional quality throughout the growing and processing chain. 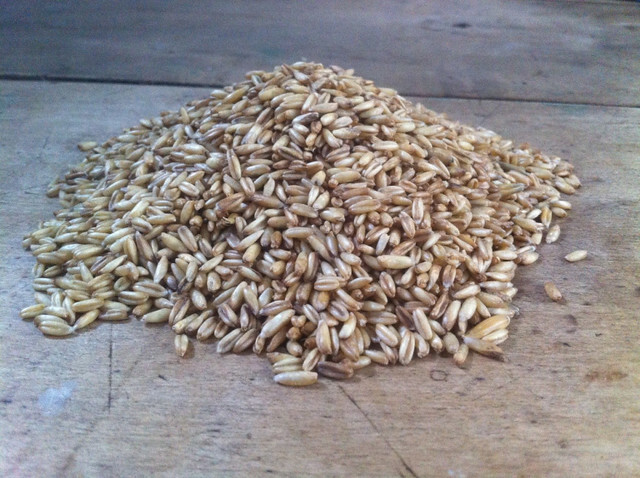 For example, unlike most, the oats are not pre-steamed, so they retain more of their nutrition. Grown in Totnes hopes to inspire groups around the country to try something similar that brings quality food to their local populations, and is very willing to share all they have learned and experienced so far to flatten out other people’s learning curves. Fair shares is a mainstay of what Grown in Totnes is trying to achieve. The way farmers can survive a fluctuating economic climate, keep hold of their small farms, supply food locally and look after the land is by getting a fair price for their produce. By creating a short supply chain Grown in Totnes seeks to offer farmers a guaranteed market for their crop as well as a fair price. Consumers benefit from a local product they know has substantially fewer food miles, has no additional chemicals, keeps the added value within the local economy, and contributes to our food security. They are also informed of who has grown the crop and where so they can have pride in, and connection to, where their food comes from. Grown in Totnes has an educational remit to demonstrate the links between the environment, landscape, farmers, food, consumers, nutrition, health, community, economics and wellbeing, on the local, national and global scales. To this end Dartington’s Craft Revolution invites you to an exciting day of Milling and Baking run jointly by Grown in Totnes & The Kitchen Table on 23 June 10am till 5pm. At Units 5 & 6 Burke Road, Totnes Industrial Estate TQ9 5XL (in the yard with Market Place Ministries and Peter Tanner). The day will start with a participatory morning introducing you to locally grown organic grains and how to process them, followed by lunch next door hosted by conscious catering company The Kitchen Table, with dishes to inspire you as to what can be done with Devon-grown grains. After lunch the Kitchen Table team will lead you through baking your own goodies (to take home) with the local grains you milled in the morning. £80 per person. Please contact [email protected] to book your place. Also, keep a look out for their next event which will take you to the farms where the grain is grown, and then to the mill to process it. Get in touch via the website www.grownintotnes.co.uk if you are interested and would like to be kept informed, or would like to receive the newsletter.